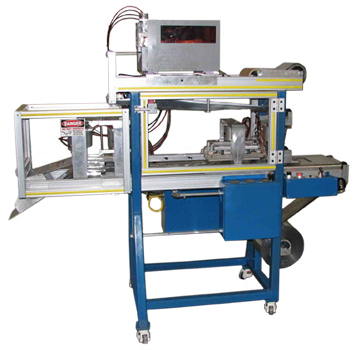 With a typical foot print of 12 feet x 5 feet, our simple to operate packaging system can be placed at the end of our production machine allowing the operator to inspect and package product while running the machine. Our standard packager runs a poly/foil material 8.25” wide and can produce pouches up to 11” long. With the optional dual pouch configuration, two smaller pouches can be made side-by-side giving you added packaging flexability. An optional custom modified in-line monochromatic thermal transfer printer is also available to allow you to print directly on the pouch material before packaging the product. 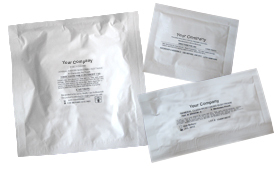 Samples of pouches produced on the same packaging system. please click here to fill out our Inquiry form.